NO. E.6346/3372/91 DATED 13th DEGMMBER 1932. 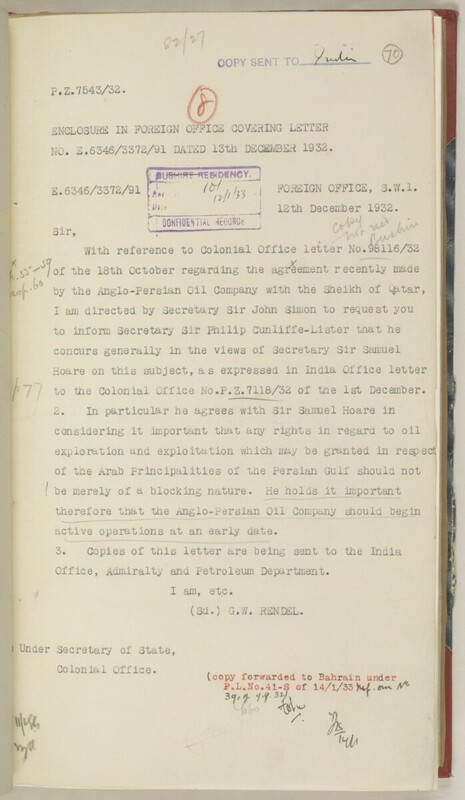 E.6346/3372/91 f/^7 I FOREIGN OFFICE, S.W.I. k aic8_j . t i ; . " to the Colonial Office No.P.Z.7118/32 of the 1st December. active operations at an early date. Office, Admiralty and Petroleum Department.